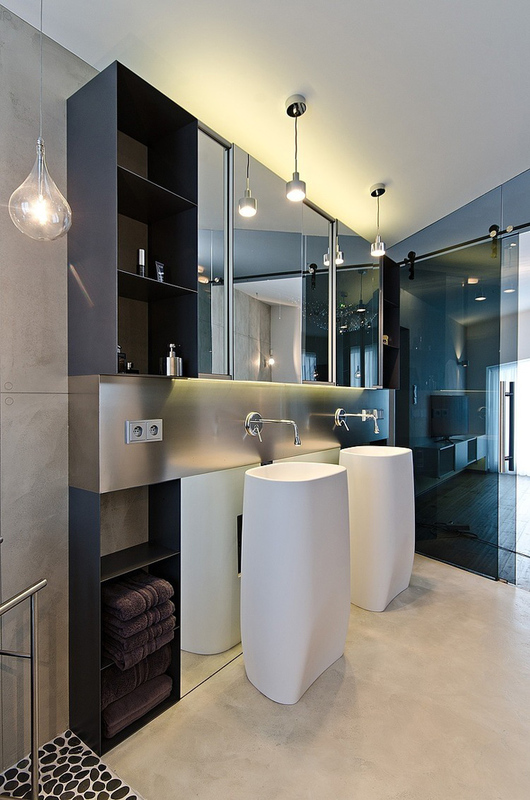 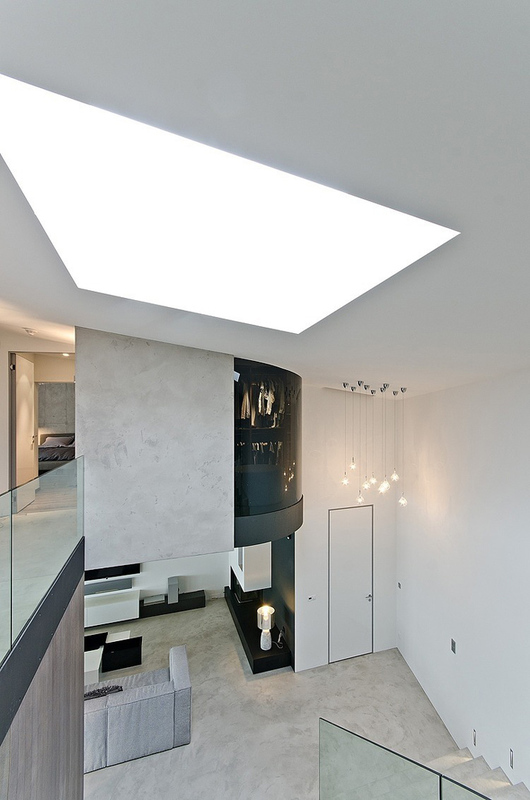 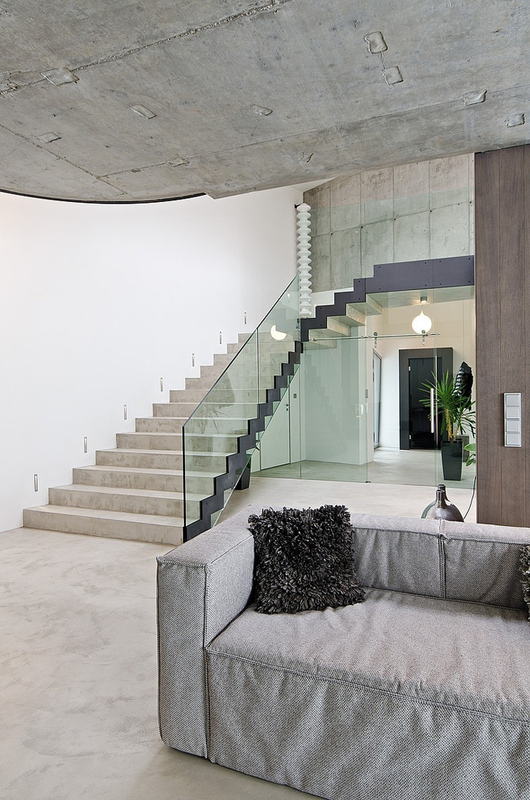 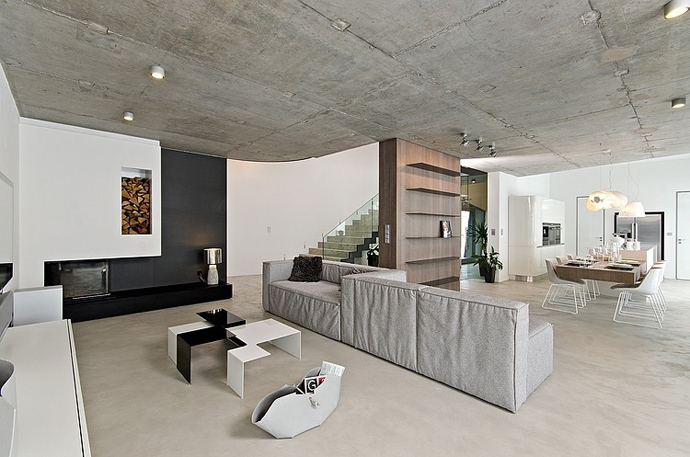 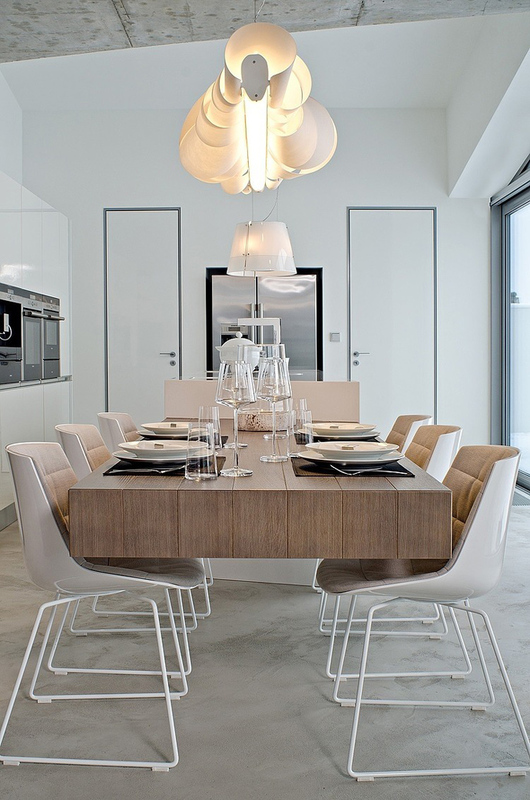 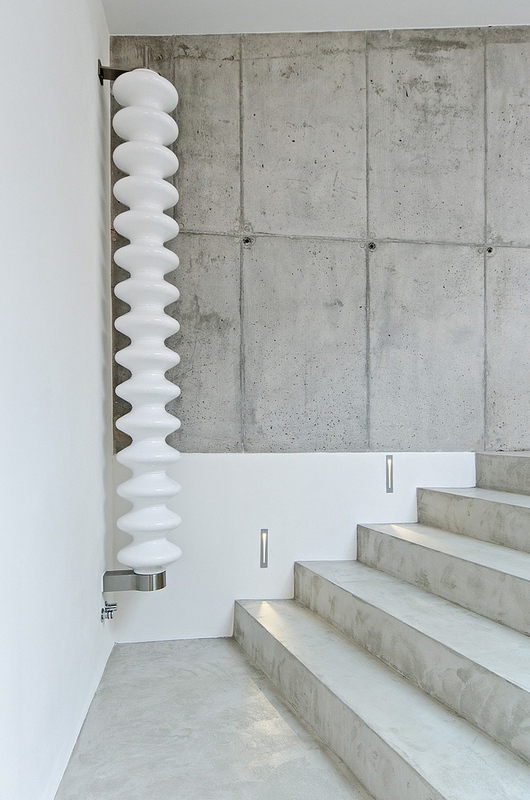 Designed by OOOOX, this amazing modern house interior is in an austere, minimalist style. 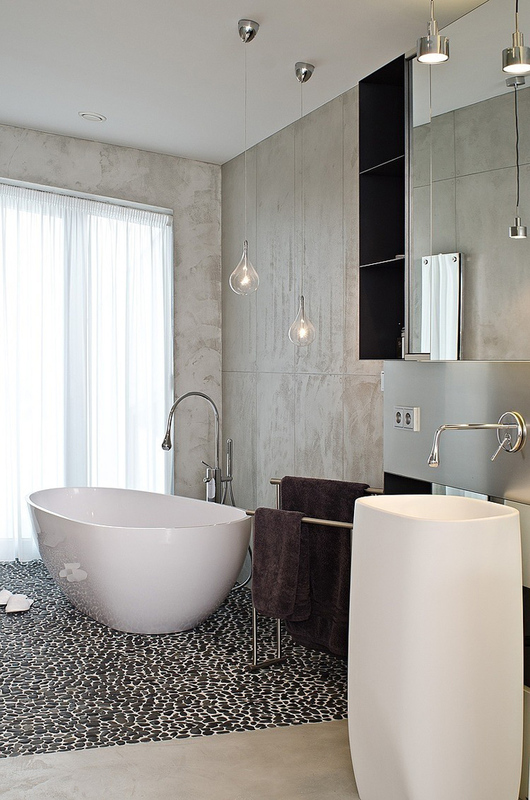 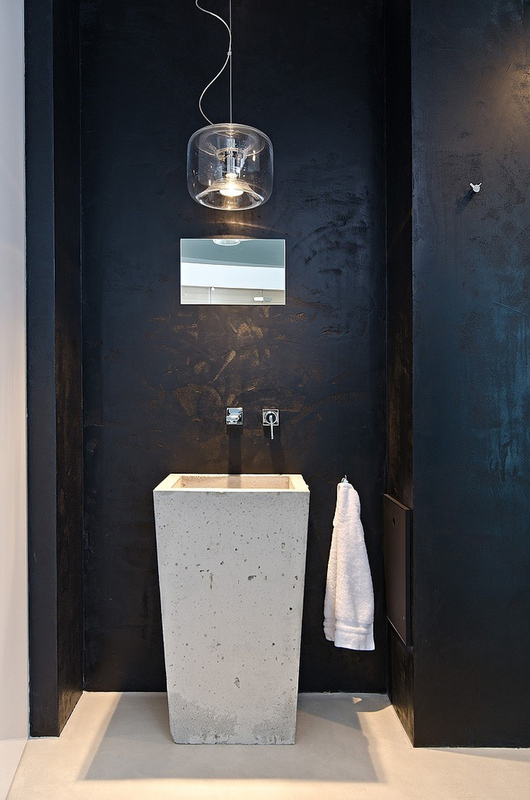 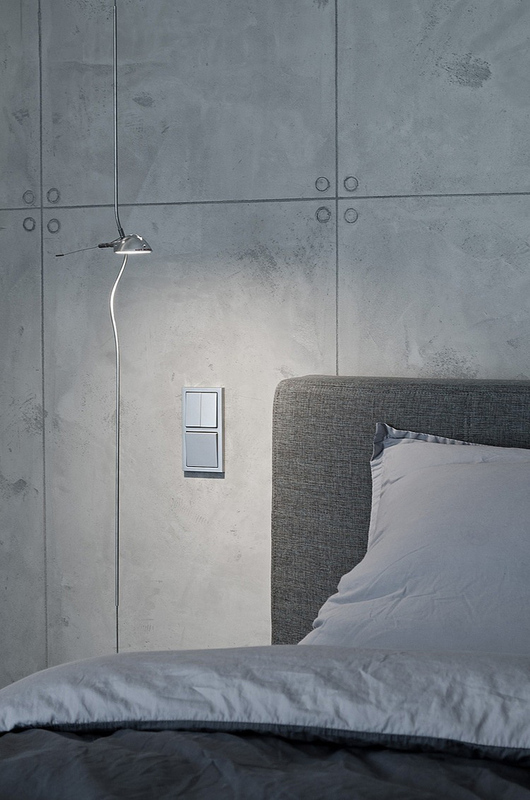 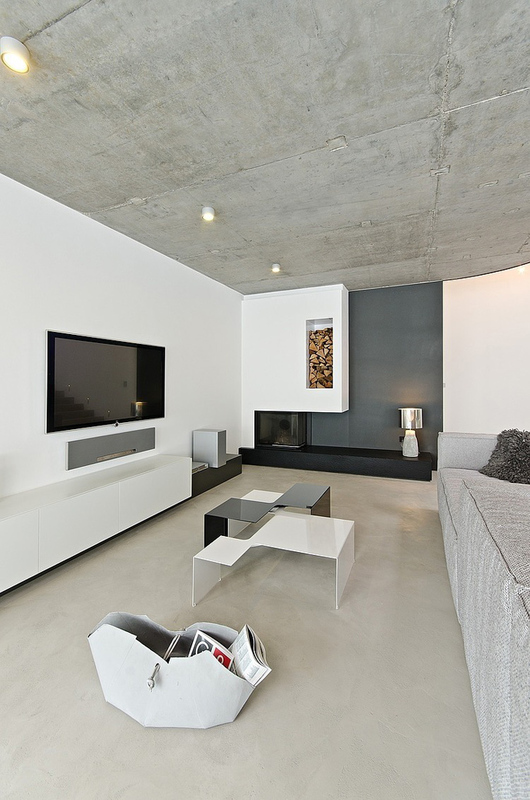 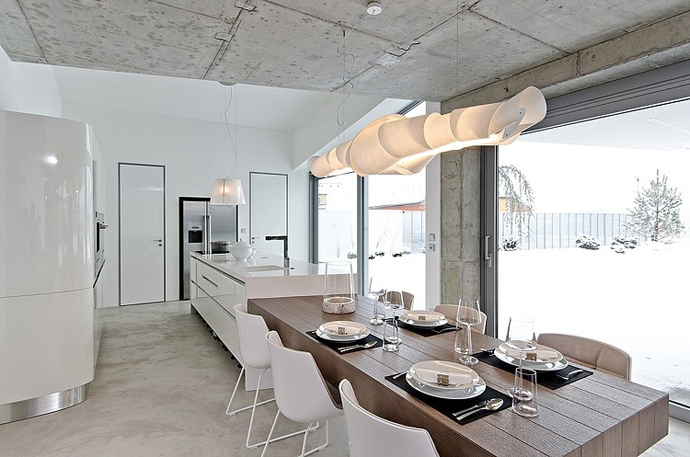 Material combination is chosen in shades of gray, white and concrete. 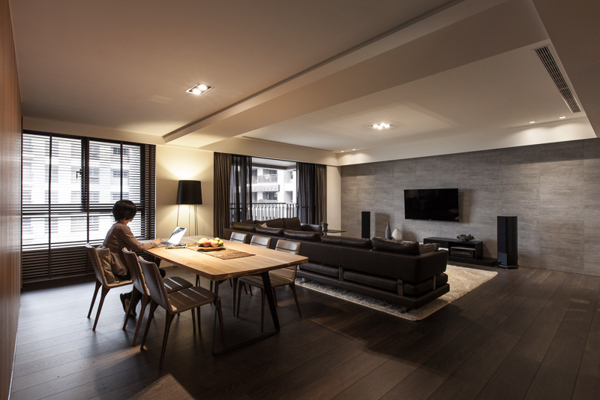 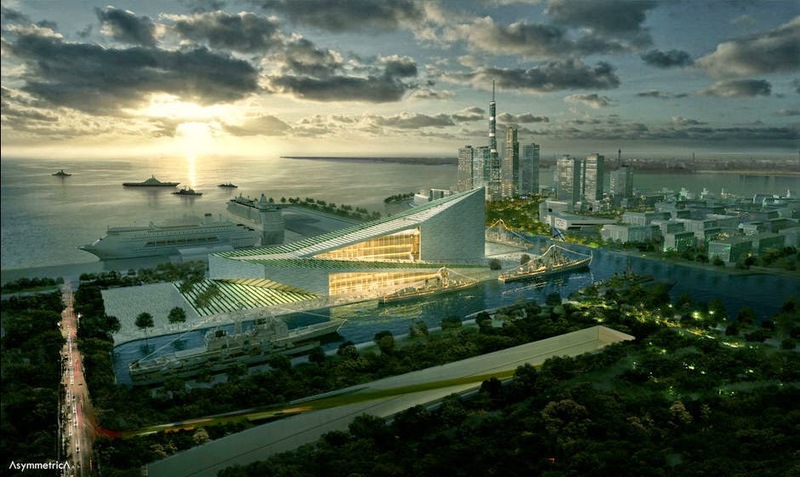 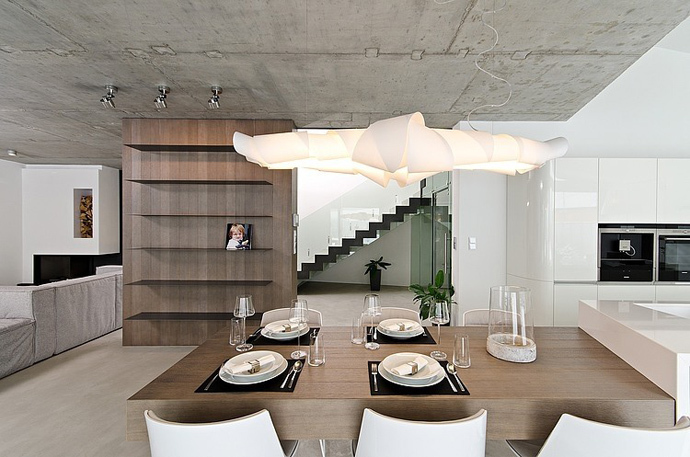 As accents in contrast to the concrete elements are used bleached wood.